The Christmas elves from the online ink company cartridgesave.co.uk have created six simple, free to download guides, to help you create your own homespun decorations designed to inject your home with some festive glow!! You can choose from Chrsitmas crackers, multi-coloured garlands and a range of £D tree decorations which will give regular baubles a run for their money. All templates are available free of charge over at cartridgesave.co.uk/christmas - plus if you downlaod and decorate a cracker there is still time to post it on your blog before the end of Wednesday and you could be in with a chance of winning £500 worth of AMazon vouchers, a cracking prize!! 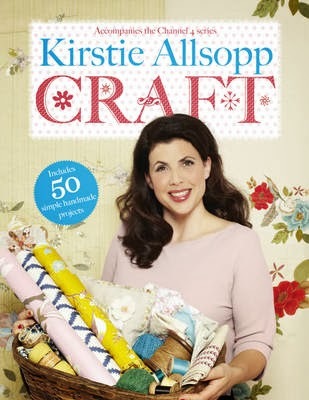 And what's more to celebrate their Craft Christmas campaign, cartridgesave.co.uk are allowing me to giveaway a copy of Kirstie Allsopp's Craft book. To enter simply fill in the rafflecopter form below, open to UK residents only, you have unil 11.59pm on the 23rd of December 2013 to enter.